Our customer service and attention to details make us stand out from the rest. We have been at the same location since 1952 and pride ourselves on giving the best possible retail experience period. 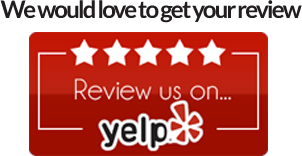 “Your satisfaction is guaranteed” is our commitment to you and we appreciate your business – call for details. Whitlocks is proud of the over 60 years in which we have been able to serve our many valuable customers. 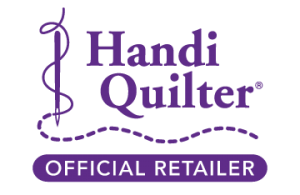 We are also proud to be a HandiQuilter dealer. 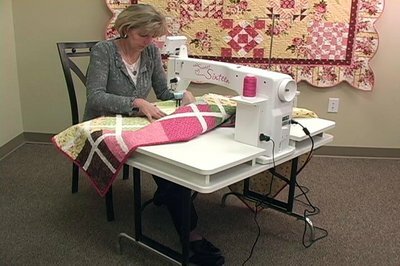 HandiQuilter long arm quilting products offer an excellent addition to any quilters salon. From complete table and frame setups to long-pins and leaders, Handiquilter offers the finest and best all-around tools to accomplish your finished quilting masterpiece. Whitlocks is a certified Handi Quilter service center. You can rely on our 50+ years of knowledge and service and be assured your machine will be running at top performance when serviced by our factory trained technicians. Whitlocks service commitment standard is to satisfy you 100% of the time! In-home setup, service and training are also part of our Whitlocks Exclusive Concierge Service. Call for details on this unique service offered nationwide. Our customers enjoy perks such as no sales tax in Oregon, and free shipping on many of our products. When you come in to the store, enjoy the friendly and helpful attention of our staff members, who are all familiar with the various aspects of sewing, quilting, embroidery and more. Don’t forget about the vacuums! We’ve got technicians who are fully equipped to explain, repair and adjust your vacuum. Come to Whitlock’s for the highest quality vacuums, sewing machines and Handi Quilter long arm quilting products. Stop in or give us a call we’ll be happy to assist with all of your sewing, vacuuming and quilting needs.